A drawing or a photo ? 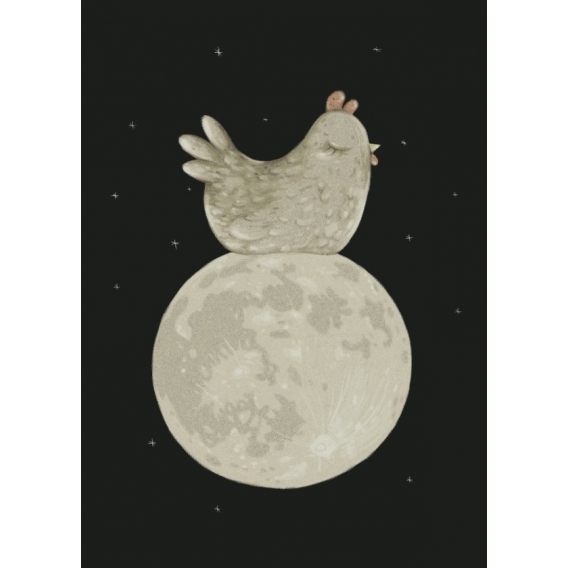 The metal poster leaves some doubt, with this adorable hen asleep on the moon in the middle of the starry sky. 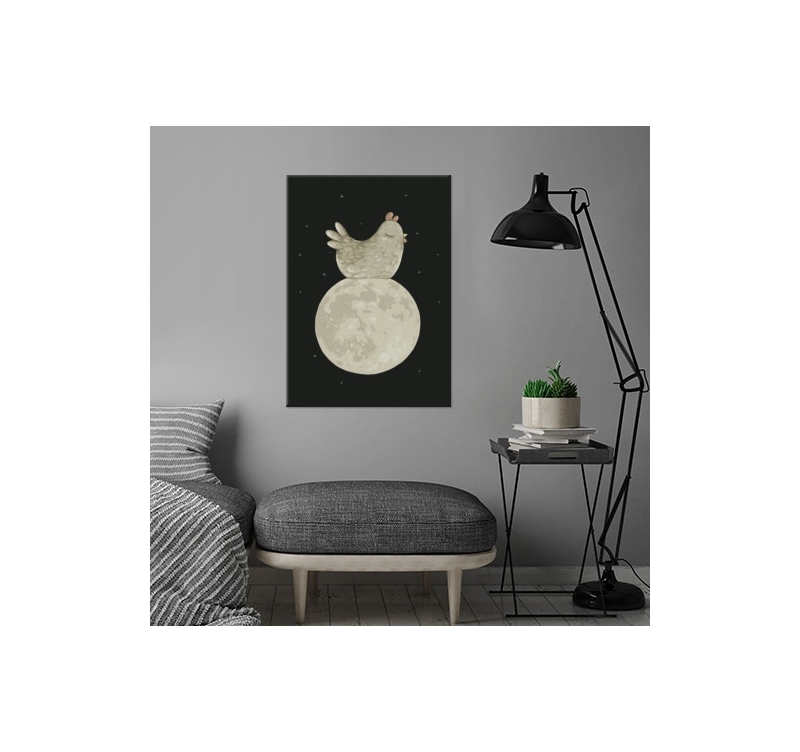 Free delivery in Metropolitan France and Belgium for this Big Egg metal wall poster. It is the Brazilian artist Lili Batista who created this metal poster, sharing his world full of humor and sweetness. 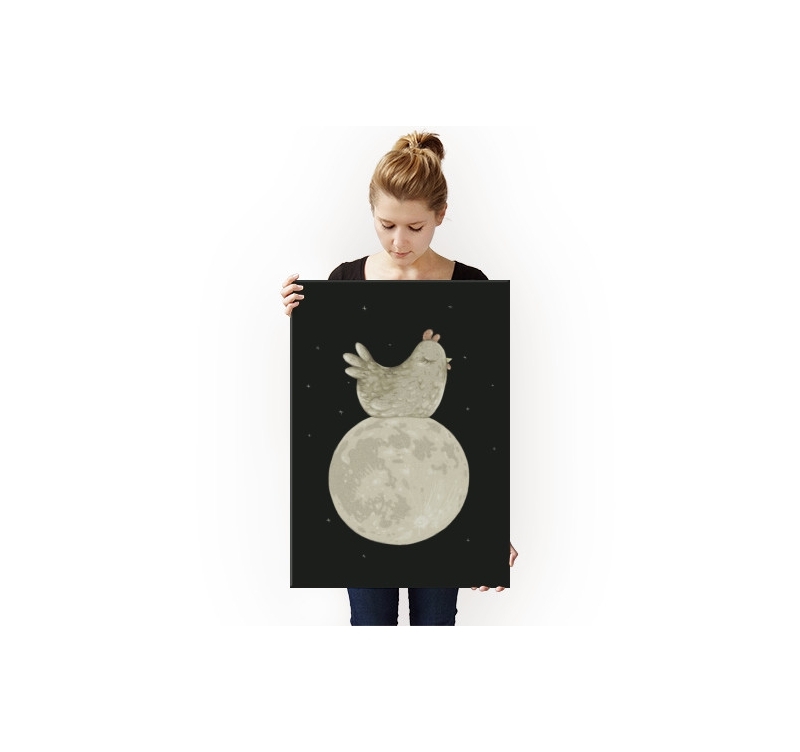 For this original creation on a metal poster, Lili drew, comfortably installed on the moon, a cute little chick. Deeply asleep, she seems to sit on our satellite in the dark night, where small stars shine. 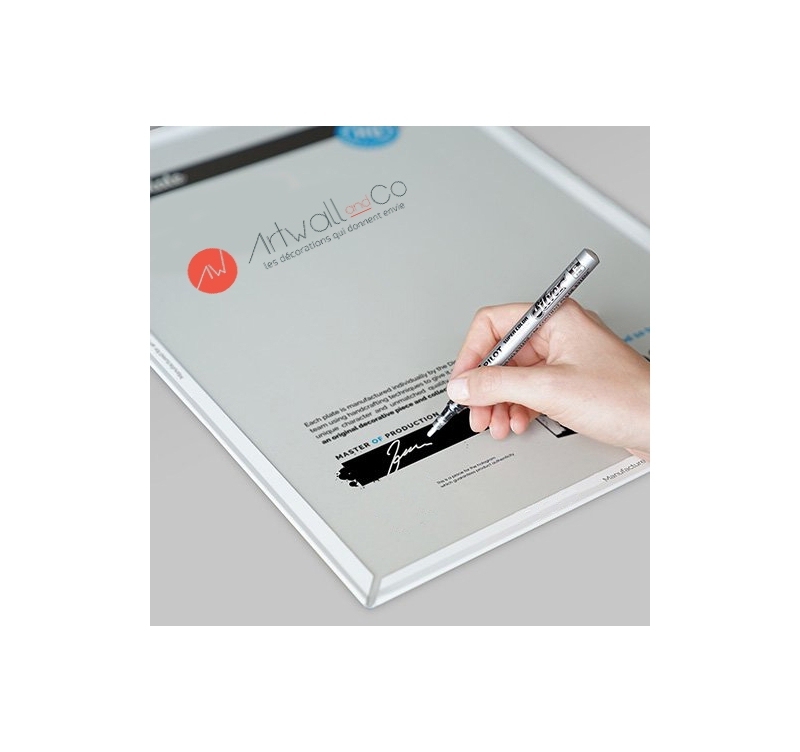 The metal wall poster will be a beautiful decorative object in a bedroom or in a sitting area. Hang your metal poster without drilling your wall. 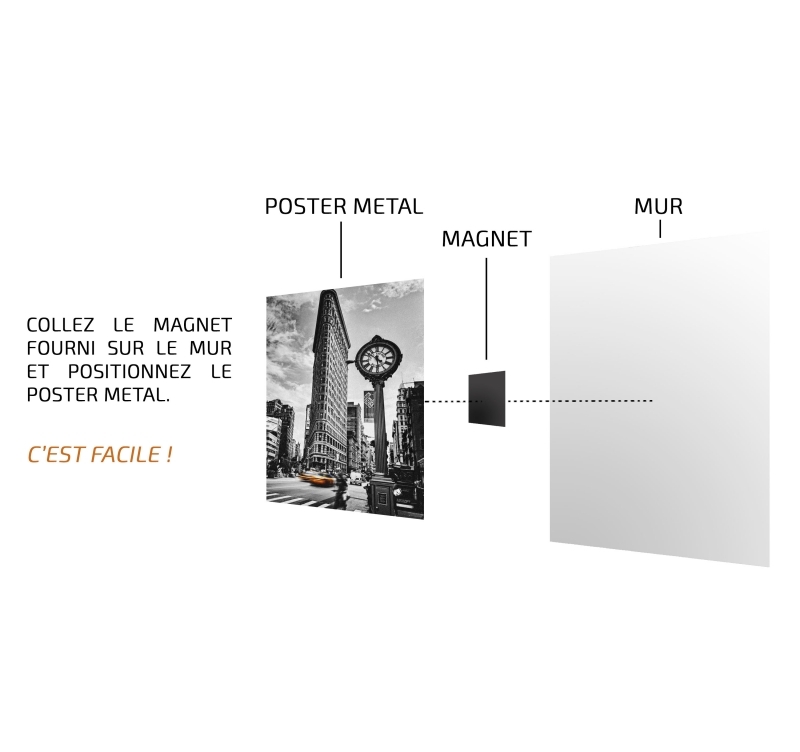 We provide you with the metal poster a sticker magnet. Installing your work on metal in a child's room will be done in a few seconds.